Bigger, but more to the point, better than ever with more demonstration suites, attractions and extended opening times. Building on the success of the Melbourne Show in 2011 and the Sydney Show in 2012, Melbourne is once again the place to be in 2013 for Australia’s finest audio and video technology showcase. Enjoy the experience of wonderful music and movie entertainment in the comfort of more than 60 hotel suites – it’s the closest you’ll come to the real home experience, without sitting in your own chair. 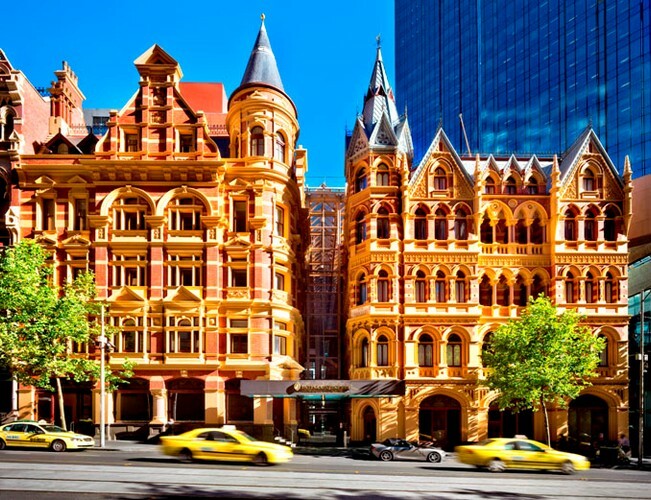 The Intercontinental Melbourne The Rialto hotel is the venue. A fabulous, heritage listed building combining all the ambience and old world charm, with the comfort and modern facilities required to present and maximise the performance of today’s sophisticated home entertainment technologies. Not just an exhibition, the Australian Audio & AV Show is pure entertainment, whether your choice is high-end systems or iPod docks, high definition TV and projection or the personal musical experience of headphones it’s all here at the Intercontinental Melbourne The Rialto hotel in October. There is much more to enjoy, visit ‘headzones’, a dedicated area where you can personally audition the finest in headphone and headsets from around the world, with experts on hand to help you choose what’s best for you. The ‘Wheat’ Suite is a dedicated theatre for the presentation of lectures/seminars from some of the world’s audio/video ‘gurus’.